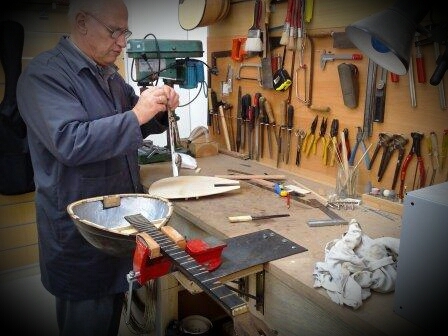 We are in the manufacture of traditional stringed instruments since 1972. We always try to satisfy the requirements of the players with passion and knowledge. 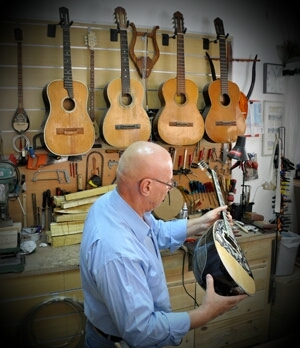 At the same time we undertake the maintenance of antique instruments and general repairs on various stringed instruments. 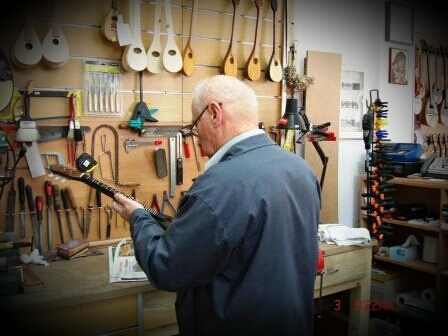 At the workshop you will find handmade traditional stringed instruments of our own manufacturing such as bouzouki, tzouras, baglamas, mandolin and lute-laouto, lafta etc. We also sell tabouras, banjo, saz, kanun, dulcimer, violins, bendir, daireh, pitchers, darbuka, clay dumbek or bumbek from bronze, brass, wood and aluminum. 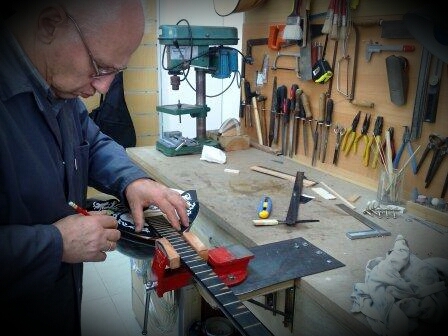 You will also find classical guitars for high standards and requirements of our own import . 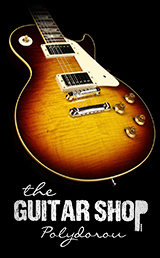 Also acoustic, electroacoustic and electric guitars . Large variety of different components, accessories and books. 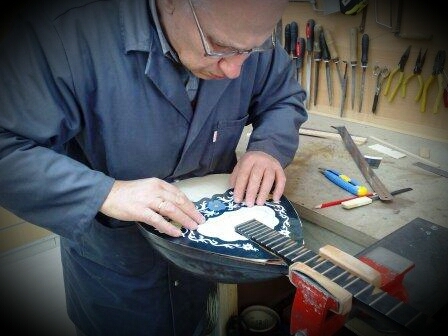 Our workshop is located at the crossroads of Str.Panagopoulou 1 and Logothetoy 12 Str. in the Aigaleo district withing 5 minute walk from the Aigaleo Metro station.